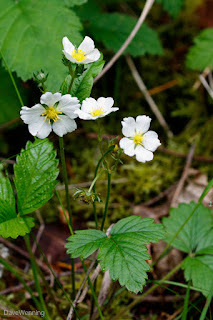 For National Wildflower Week, I have gathered a collection of photos taken on Kiket Island in the Kukutali Preserve. 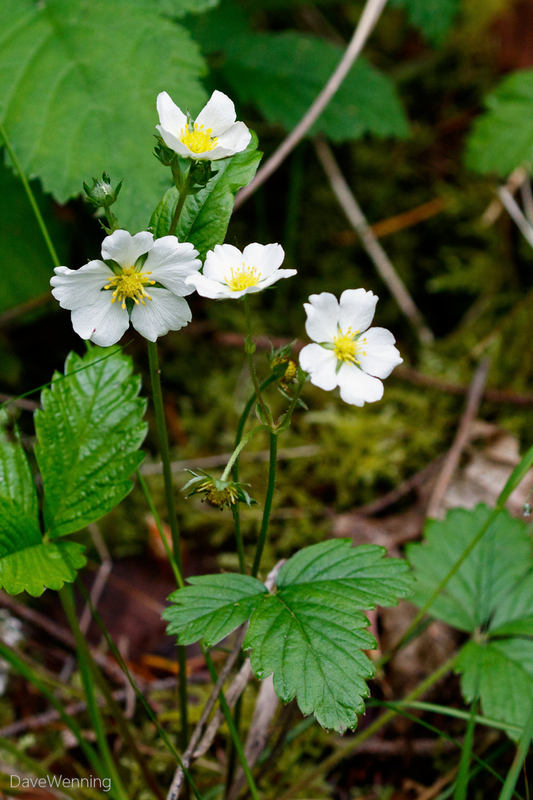 This is an undeveloped, natural area managed jointly by the Swinomish Tribal Community and Washington State Parks. These photos were all taken yesterday during a single hike of about 2.5 hours. I have worked hard to correctly identify them. If you spot an error, please let me know so I can get it corrected. Except as noted, all are natives to the northwest interior of Washington State. 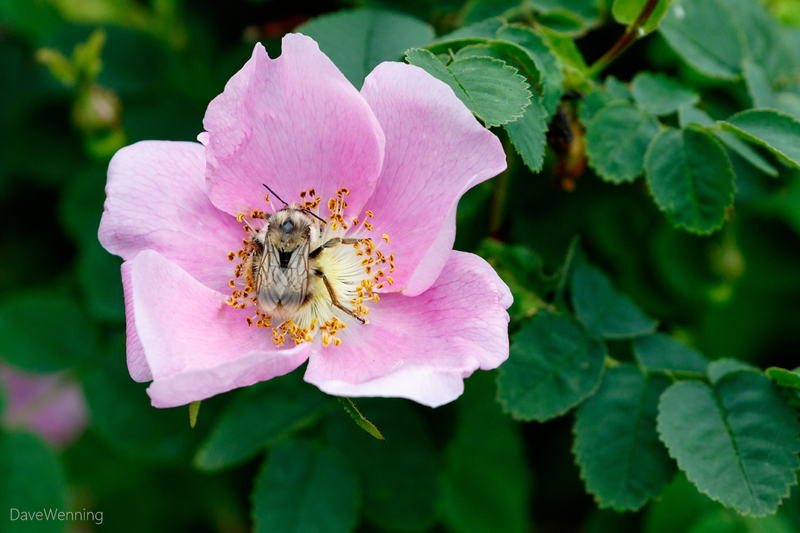 In addition to the wildflowers, the entire island was alive with the humming sounds of bees. This music was the perfect accompaniment for the visual treats I would discover on the hike. 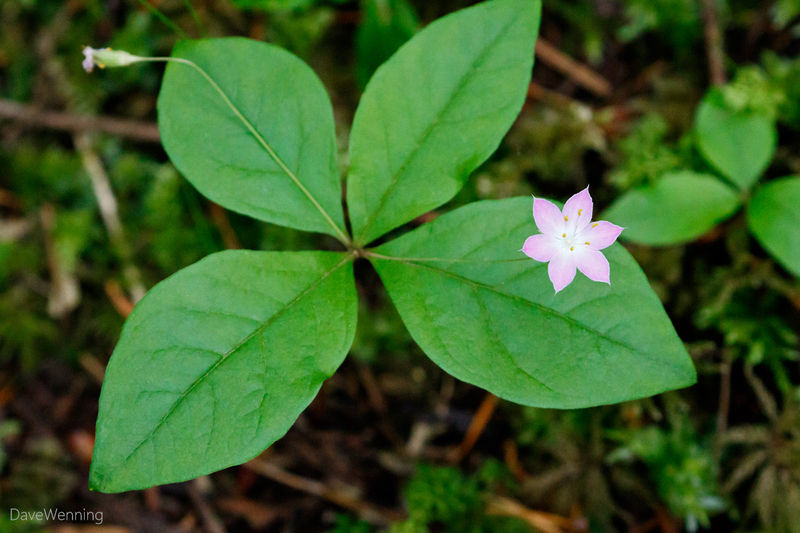 I have chosen the Western Starflower to open the post. 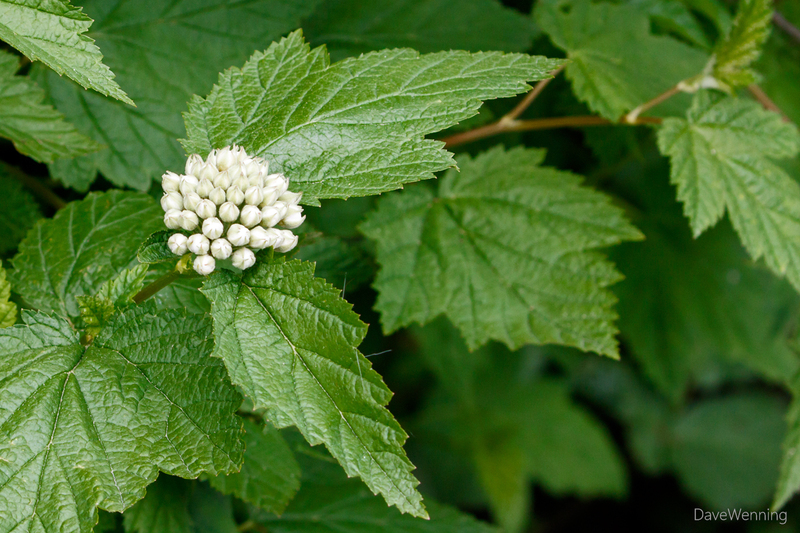 It could well be considered the floral mascot of Pacific Northwest forests. 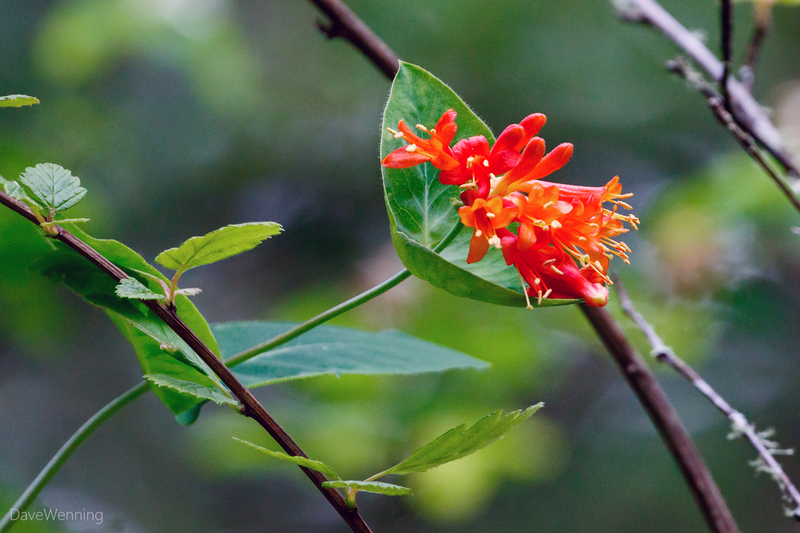 Wherever you explore woodlands in the region, you will find this little trailside companion. The Nootka Rose is named for the indigenous Nuu-chah-nulth people (mispronounced "nootka" by Europeans) of British Columbia. 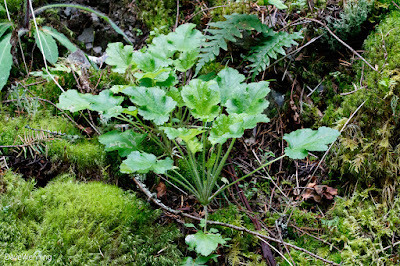 In biology, the names nutkana or nootkatensis generally designate species of the Northwest Coast. The Wood Rose (a.k.a. 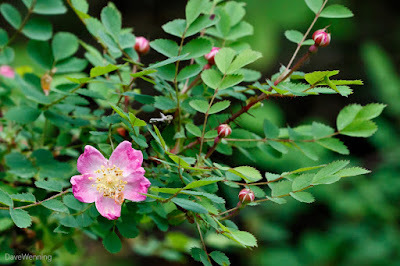 Dwarf Rose, Baldhip Rose) is our "other rose" distinguished from the Nootka Rose by its size. 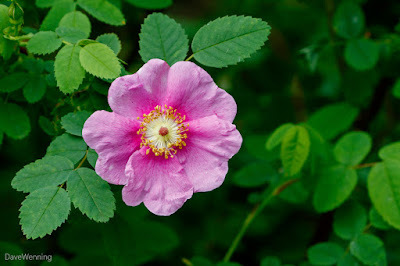 If the flower is less than an inch across, it's a Wood Rose. 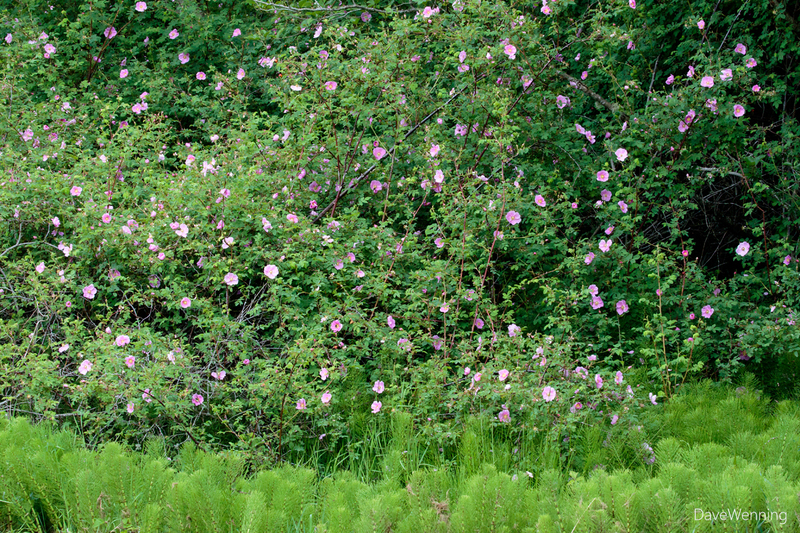 If greater than an inch, it's a Nootka Rose, which can be 3 inches (8 cm) across. 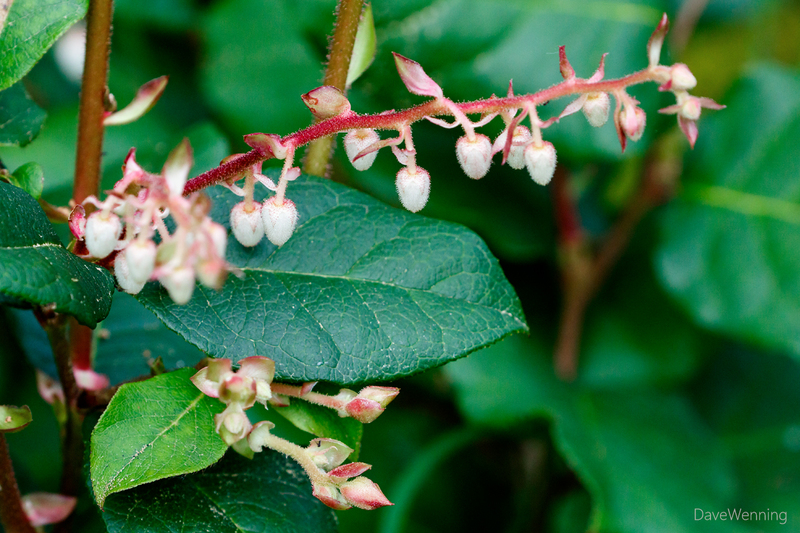 Also called Bearberry Honeysuckle, each of the pairs of Black Twinberry flowers will produce a black, shiny berry paired as "twins." 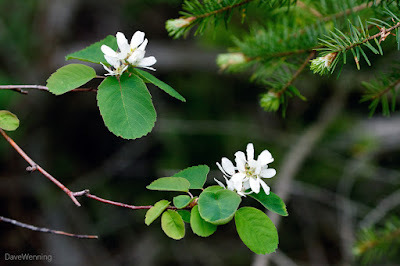 Just starting to bloom now, these large shrubs with creamy white flower clusters will decorate our roadsides and forest understories through the summer. 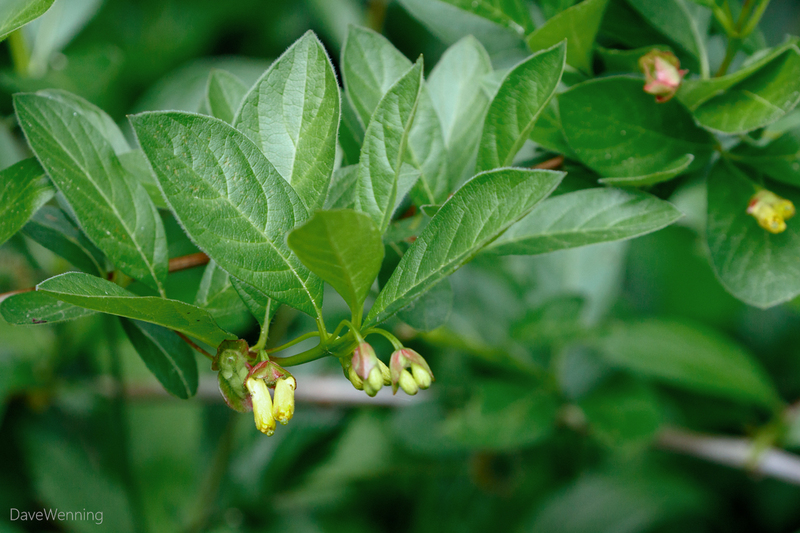 The flowers will fade to tan and later brown and remain on the bush through the winter. This fading may be the source of the name "discolor." It is also known as Creambush and Ironwood. Ready for dessert? 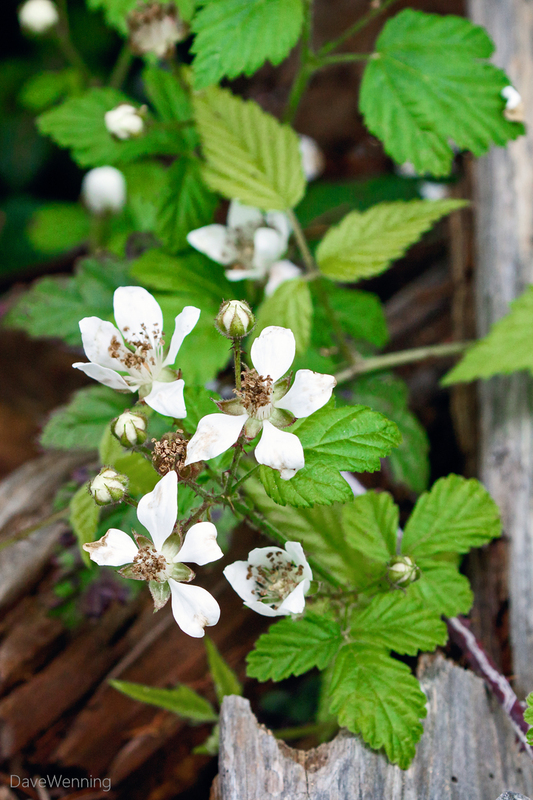 As far as I know, Trailing Blackberry is our only native blackberry. 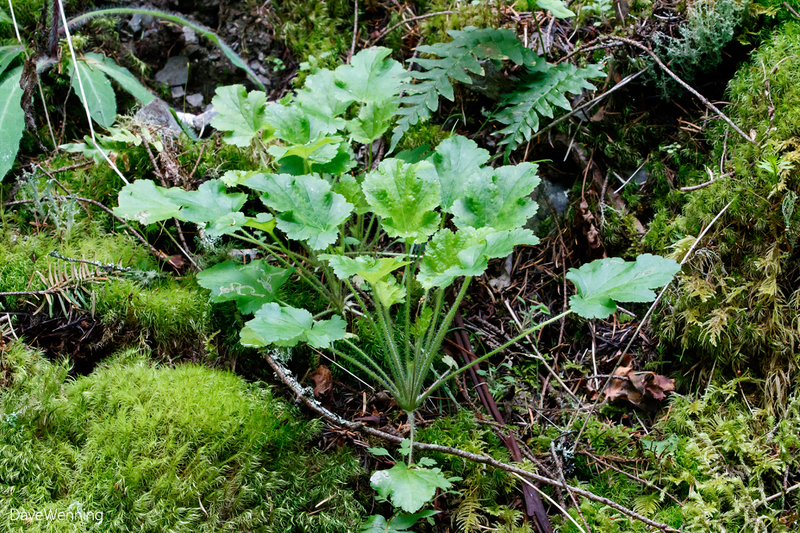 Anything else you come across is an introduced invasive. 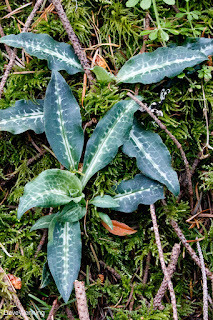 Rattlesnake Plantain is a member of the Orchid family apparently named for its leaf pattern. There are no rattlesnakes in western Washington (unless brought here by someone), but whoever named the plant had apparently seen one. 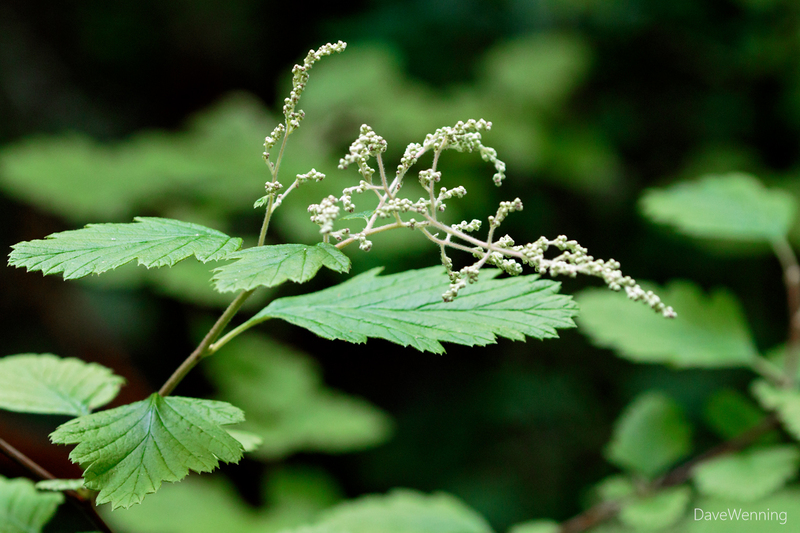 They are common in dry, closed-canopy forests. I have never found one blooming. Speaking of orchids, this flower resembles the Spotted Coralroot (Corallorhiza maculata). See the examples here and here. 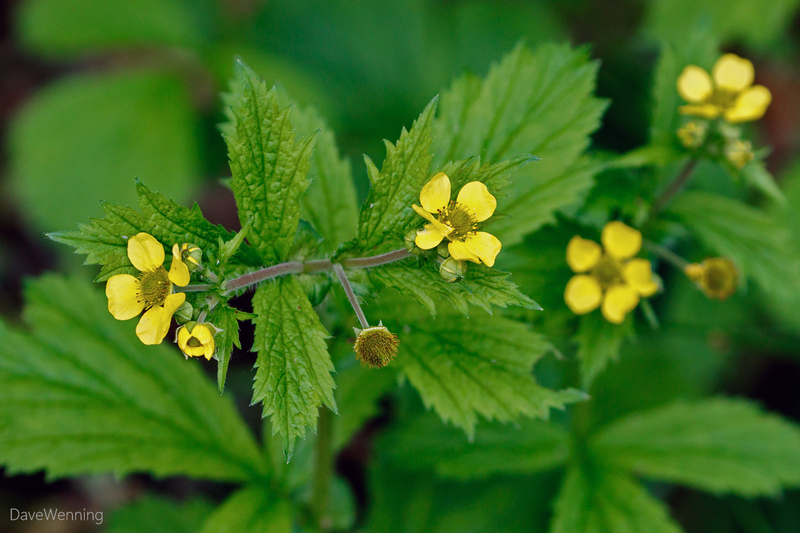 These flowers, however, are totally lacking either spots or stripes as identification. Could this be a sport or hybrid of some sort? I am hoping someone can help me identify it. It was growing next to the North Trail under a closed canopy in deep shade. Also known as Western Serviceberry, this is one of our most beautiful native shrubs. The Saskatchewan city is named for it. This one is just starting to bloom. 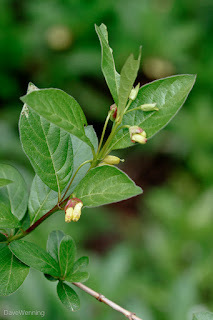 The name refers to the peeling bark on mature plants. It is a nice, drought-tolerant shrub in the garden, but I can tell you, the deer love to chew on it. 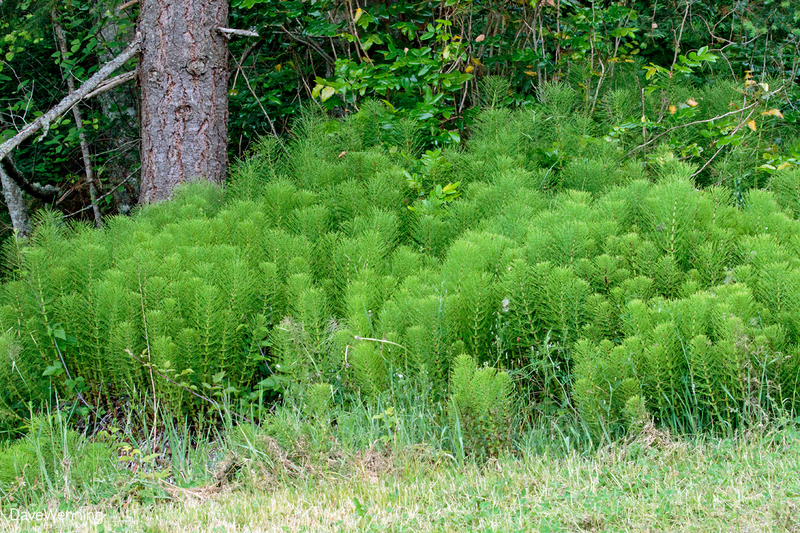 Common Horsetail is an ancient, primitive plant that does not produce flowers. It is so ancient, in fact, it was probably trod upon by dinosaurs. 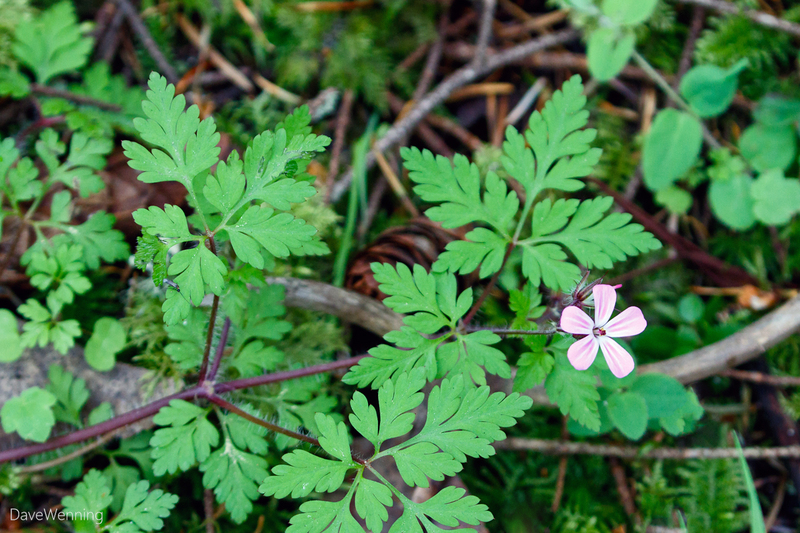 Herb Robert (or locally Stinky Bob) is a Class B noxious weed in Washington State. It should be pulled up wherever it is found. It has become so rampant and widespread, this may be a lost cause. 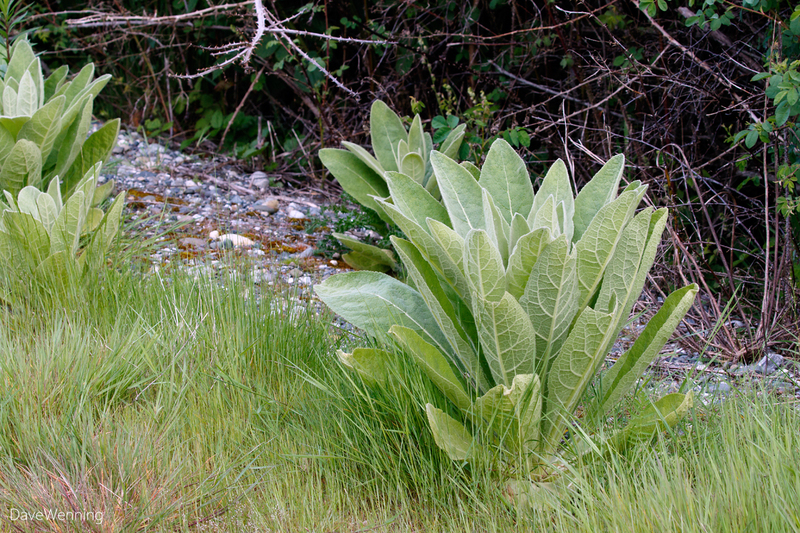 It apparently releases chemicals (.pdf) that suppress other native plants around it facilitating its spread. 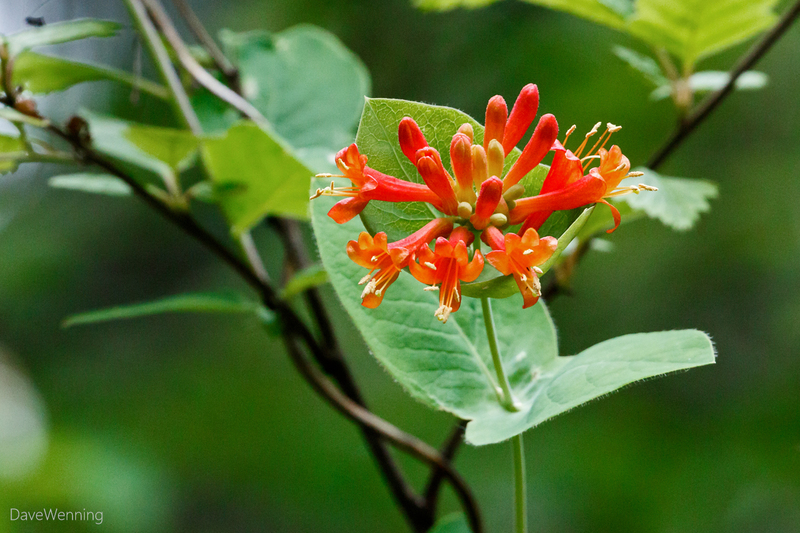 It is displacing native understory plants in closed-canopy forests. 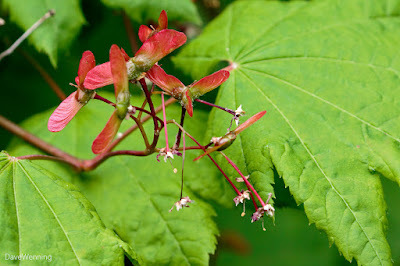 I had never noticed the tiny flowers on Vine Maples before. The winged fruits on maples are called samaras or samarae. 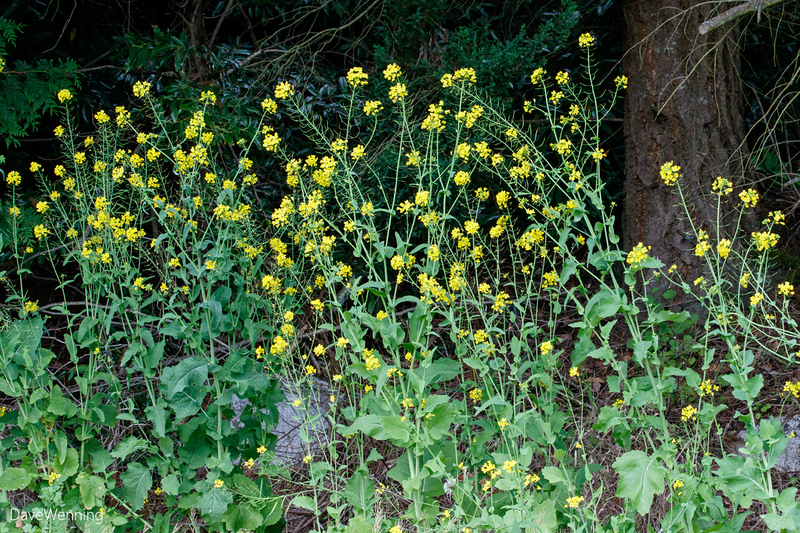 A summer bloomer, I usually see this growing on sunny, stone cliff sides. This one was growing in dappled shade from the stony bank next to the main road. 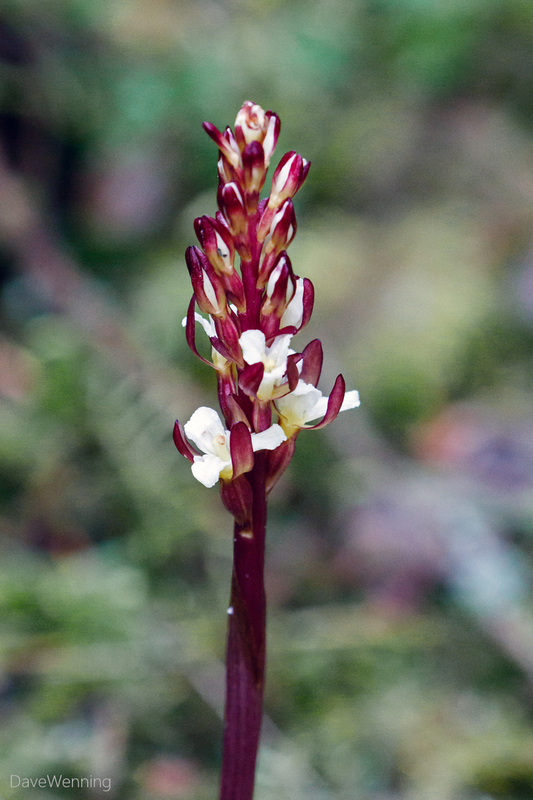 You can buy varieties of this plant in nurseries under the name Coral Bells. Clockwise from upper left: Nootka Rose (Rosa nutkana) with pollinating friend, Nootka Rose shrub as we see it trailside, Tall Cinquefoil with friend (Potentilla arguta), Orange Honeysuckle (Lonicera ciliosa). 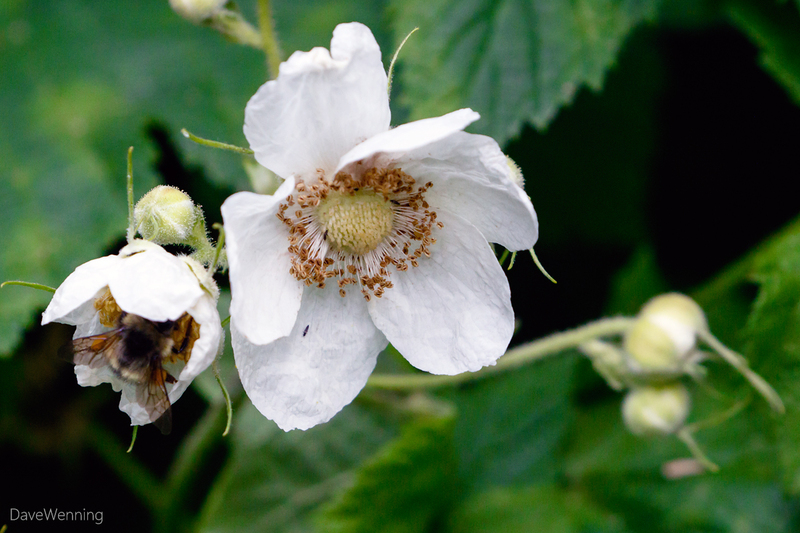 I have discovered how much I enjoy finding, photographing, processing and sharing photos of our local wildflowers. I hope you enjoyed the post as much as I did putting it together.